Family-owned businesses account for 90% of US companies, 62% of employment and 78% of new job creation. About 35% of Fortune 500 companies are family-controlled and represent the full spectrum of American companies. They are indeed the backbone of the American economy. From a branding perspective they are different. Most notably by the presence and control of family members and their inherent legacy. The brand should provide all the assurances that brands do, without stepping too far from the legacy, but rather by reinforcing and leveraging it. To meet this “family brand” criteria, Strategic Partners through a newly established partnership with DeMuesy Creative is offering a new product called Legacy Branding. The research and process are familiar, but the end result fully recognizes a company’s family legacy and the affinity and power it can play in today’s market. Strategic Partners is guided by president and founder David Morawski, a research-driven strategist whose passion for understanding human behavior guided his career evolution from a quantitative market research role to the more intuitive side of marketing and branding. 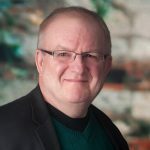 Dave is a natural critical thinker who blends a mathematics background with an obsession for simplicity and focus to provide a unique, high-level approach to your research, planning and branding opportunities.